America may have created AI, but China is taking the ball and running when it comes to one of the world’s most pivotal technology innovations. 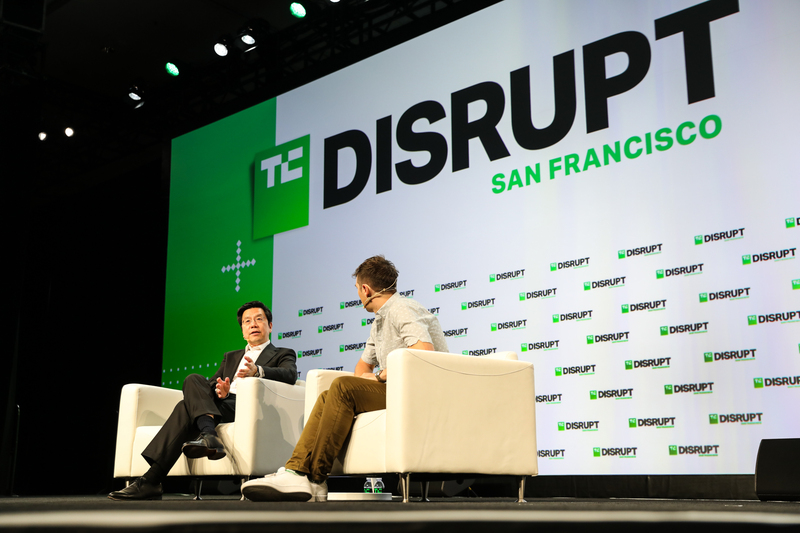 That’s according to Kai-Fu Lee, a world-renowned AI expert who founded Sinovation, a China-U.S. fund that raised its fourth fund worth $1 billion earlier this year. Speaking at TechCrunch Disrupt San Francisco, Lee — who led Google in China before it left the country — said any lead America’s tech industry may have enjoyed is rapidly being eroded by hungry Chinese entrepreneurs who have oodles more data at their disposal to build, train and deploy AI systems. Sinovation already has five AI companies in its portfolio that are valued at over $1 billion — that might be a record for any VC firm worldwide — and he explained China’s “magical ascent” in AI has taken just two years. “Coming from way behind, now [China] is actually ahead of the U.S. in AI implementation,” Lee said. “AI we should think of it as electricity. Thomas Edison [the inventor of electricity] — and also the AI deep learning inventors who were American — they invented this stuff and then they generously shared it. “Now, China, as the largest marketplace with the largest amount of data, is really using AI to find every way to add value to traditional businesses, to internet, to all kinds of spaces. The Chinese entrepreneurial ecosystem is huge so today the most valuable AI companies in computer vision, speech recognition, drones are all Chinese companies,” Lee added. But it isn’t just progress in the eyes of investors — who create valuations through their investment — Lee said that Chinese AI firms generate more sales, too, while China accounts for nearly half of all VC investments and 43 percent of all AI startups. In the case of Sinovation, their billion-dollar AI companies include crypto firm Bitmain, image recognition company Megvii (known as Face++), fintech-focused 4th Paradigm, autonomous driving AI company Momenta and chip outfit Horizon Robotics. Much of the reporting around how China is using artificial intelligence centers around ways that the government is using facial recognition for surveillance purposes. While that has included crime fighting, with facial recognition successfully used to identify and capture suspects, there are also concerns around more sinister applications, such as the surveillance of Chinese minority Uighur Muslims. China is reported to have detained as many as one million Uighur in camps, and facial recognition technology is believed to be one key part of surveillance strategy. Lee, however, brushed off concern around the darker applications of AI in China, pointing out that the technology has the capacity to be abused anywhere in the world. He said China is also using the technology to develop new kinds of retail, manage busy urban traffic, build new kinds of educational services and more. Indeed, Sinovation takes an unusual route to develop technologies and startups. As well as investing, it also develops technology in-house using a team of 200 people in its “institute.” Not only does that team work with portfolio companies and on a consultancy basis, but it develops its own services where it sees gaps in the market. Indeed, the firm recently spun out its first venture from that tech team, which helps traditional retailers develop online-to-offline capabilities, which essentially marry the benefits of online commerce with more traditional brick and mortar retail. That’s a strategy in which Chinese e-commerce giants Alibaba and JD.com have invested heavily.